China’s Kuaizhou-11 solid-fuelled carrier rocket is scheduled to launch for the first time, in the first half of 2018, according to the rocket’s developer and producer China Aerospace Science and Industry Corp (CASIC). The preparation work for the launch has been completed, and the rocket will send six satellites into space in its first mission, said Zhang Di, an official with CASIC. Kuaizhou, which is Chinese for fast ship, is a low-cost solid-fueled carrier rocket with high reliability and a short preparation period. 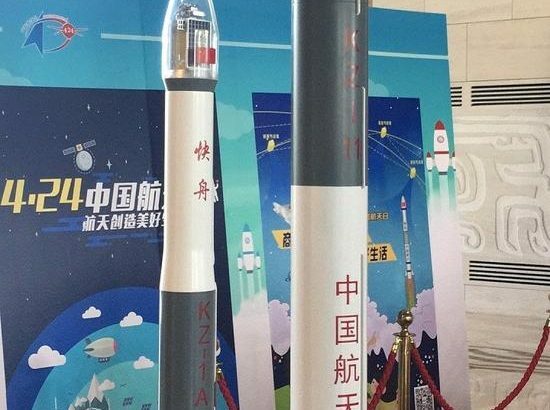 The launch cost of the Kuaizhou rockets has been reduced to 5,000 U.S. dollars per kg of payload, which is considerably lower than its international competitors, according to Zhang. With a lift-off mass of 78 tonnes, the rocket was designed to launch low-Earth and Sun-synchronous orbit satellites. Finance, Science-Technology, Translations Kuaizhou, rocket, Space. permalink.